WASHINGTON DC, WASHINGTON, UNITED STATES, October 25, 2018 /EINPresswire.com/ -- These days, consumers live in a digital world. According to research, it is said that about 80% of buyers search online before making a purchase. Thus, it is important that every business should take the initiative to have an online presence by understanding the crucial role of SEO. Or you would be losing a great deal and the value it may add to your online business. Therefore, to assist you out with this GoodFirms has unveiled the Top SEO Companies in USA and across worldwide. Many business owners are hiring the Top SEO Companies in New York (NYC) and from other states, cities as well as from countries to perform best SEO services. As this can help to drive more target traffic as well as achieve better conversion rates and get good revenue for your business. SEO has become an essential part of every successful marketing strategy to maximize your business efforts and building brand awareness through better rankings in search engines. Thus, SEO can be the best tool to adopt for your online business. If you are looking for an SEO firm you can check out them at GoodFirms. Here you can find the Top SEO Companies in Los Angeles and from every corner of the world along with ratings and reviews. GoodFirms is an ingenious and acknowledged B2B research, ratings and reviews platform. It endeavors to associate businesses with the most excellent IT Development Companies and Best Software. The analyst team of GoodFirms conducts a meticulous research process which has got three vital criteria's that are Quality, Reliability and Ability. To determine these points, it includes a number of several key statistics such as studying the background by verifying the past and present portfolio. The research squad also assess the experience they have in the same area expertise, identify the market presence and take a sneak peek at the reviews they have received from their clients for the services. Moreover, GoodFirms supports the service providers by asking them to come forward and take part in the research process and get listed in top companies for free in the expertise categories. Getting listed in Top IT Development Companies and Best Software can improve your brand and attract more traffic. 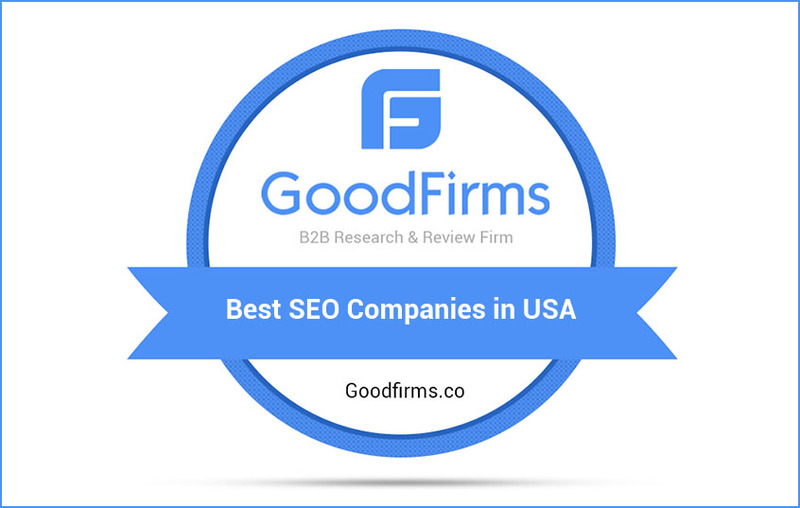 GoodFirms is a Washington, D.C. based research firm that aligns its efforts in identifying the most prominent and efficient SEO companies that deliver results to their clients. GoodFirms research is a confluence of new age consumer reference processes and conventional industry-wide review & rankings that help service seekers leap further and multiply their industry-wide value and credibility.